I usually don’t like jumping into debates just because it is not my personality to do so (Brett is usually more comfortable in doing something like that), but I feel it is time to bring something to the general HepsNation reading crowd. I know you, the reader, come here to catch up on the general goings of Ivy League athletes. This post is going to be a slight tangent, as it focuses on USA Track and Field organization in general than any specific Ivy alumni. I don’t know how many of us follow the general sporting politics, but there have been quite a few controversies on the professional organizational ranks these last few years, ranging from inconsistent doping repercussions, allowing convicted doping athletes to coach Team USA in international competition, possible Jury of Appeal biases due to sponsorship treatment that resulted in questionable racing disqualifications, lack of transparency from the organization heads to the general membership, athletic sponsorships and associated logos on uniforms, and child-like bickering between head hanchos of the USATF organization (want a list? Check out these articles on Letsrun.com, which archives a number of these situations since February 2014, categorized under the header of “USATF controversy“). The most recent round of controversy deals with USATF representation on the International Association of Athletics Federation (IAAF). Back in December 2014, the USATF Board of Directors voted 11-1 to replace Bob Hersh, a senior vice-president of IAAF, with the current USATF President and Chair Stephanie Hightower as the USATF representative for IAAF Council. The problem is that Hersh was originally elected by 85% of the USATF convention delegates earlier in the day for this position. 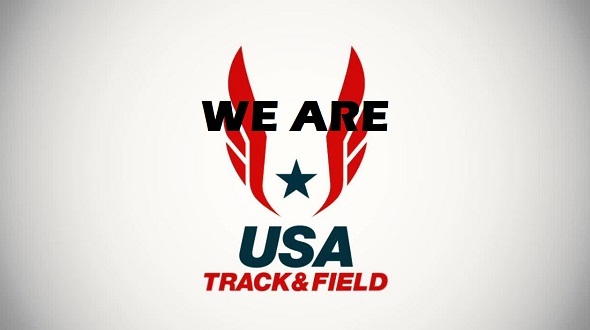 Let’s say that there has been a lot of backlash from this decision by a number of the USATF regional groups, track & field journalists, professional athletes, and other high-profile names that are within the USATF organization that were not included in the Board of Directors vote. There is even a petition asking the US Olympic Committee for oversight of USATF Administration. Look in your internet search browser “USATF IAAF representation Hersh Hightower” and you can find enough reading material for a week. This weekend is a chance for the USATF Board of Directors to reverse their decision and allow the candidate chosen by the USATF convention delegates to be the representative for the IAAF Council. Weldon Johnson, co-founder of Letsrun.com and Yale graduate, wrote some editorials on this issue these last two weeks. In his most recent article, he is asking his readers to share their concern on this issue (regardless of who they feel is the better candidate) by either emailing members of the USATF Board of Directors or tweet using @usatf #WeAreUSATF to show USATF that we as fans of this sport do care about the future of it in this country. “Does USATF want to continue to be an organization where the members and athletes feel they have no voice?The Board needs to think about what its role is and remember ultimately who it is responsible to, the membership of USATF.” Johnson writes in his March 6th editorial. And so, I ask for you, members of HepsNation, to show that you care, by either spreading the word about this on social media or emailing the Board members. With so many of our Ivy athletes having dreams of continuing this sport on a professional level or giving back through coaching, we need to have a national organization that not only listens to us fans/athletes/coaches, but also can be effective and consistent in within their own organization and not be easily distracted through petty politics and biases. Its own co-founder, John D. Murphy, has written that it has turned into a money-making machine with its only criteria for admittance being eligible for federally funded student loans. Teaming with this outfit was horrible and shows USATF to be complete amateurs who could not command the salaries they make in any other walk of life. Also, I have known Bob Hersh for more than 25 years. He was a manager for the Columbia track team as an undergrad and has been a man of principle in the sport. USATF sullying his name is reprehensible, but that’s who they are. May the USOC decertify them and start over. This entry was posted on Friday, March 13th, 2015 at 3:25 pm. It is filed under Alumni, Spotlight. You can follow any responses to this entry through the RSS 2.0 feed.